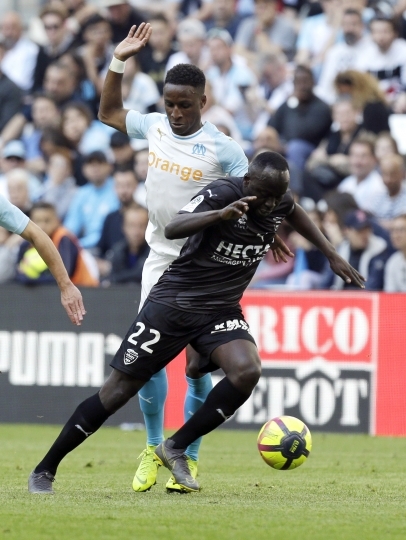 PARIS — With Mario Balotelli forced off the field early in the game, Valere Germain and Luiz Gustavo took on the scoring responsibilities as Marseille beat Nimes 2-1 in the French league on Saturday. The former European champions ended their three-match winless run to leapfrog Saint-Etienne into fourth place. 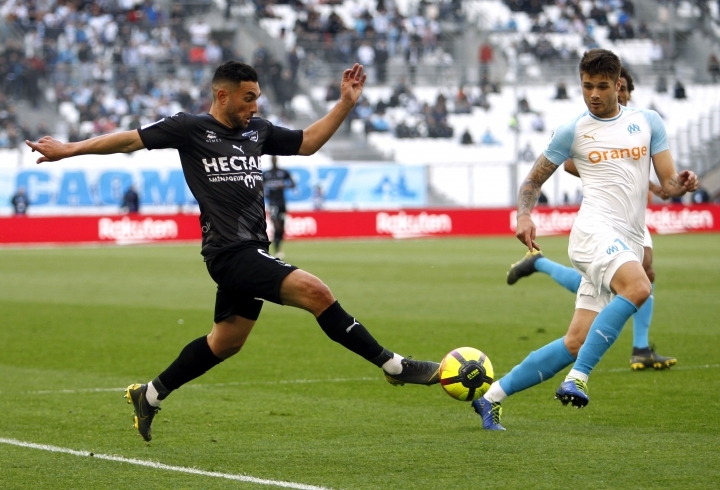 With six matches left to play, Marseille moved within five points of third-placed Lyon, which lost 2-1 at Nantes on Friday. 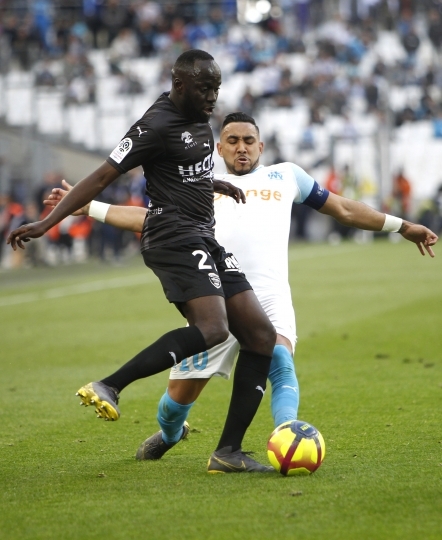 Marseille struggled to break the deadlock against its well-organized southern rival but went ahead in the 72nd minute from a set piece when Germain scored from Dimitri Payet's corner with a powerful header at the near post. Gustavo made it 2-0 in the next minute with a clever curled shot from outside the area that lobbed Nimes goalkeeper Paul Bernardoni. Marseille midfielder Boubacar Kamara ensured some suspense with a handball in the box that gave Nimes a penalty with eight minutes left. Teji Savanier converted the penalty with a low shot under Steve Mandanda. 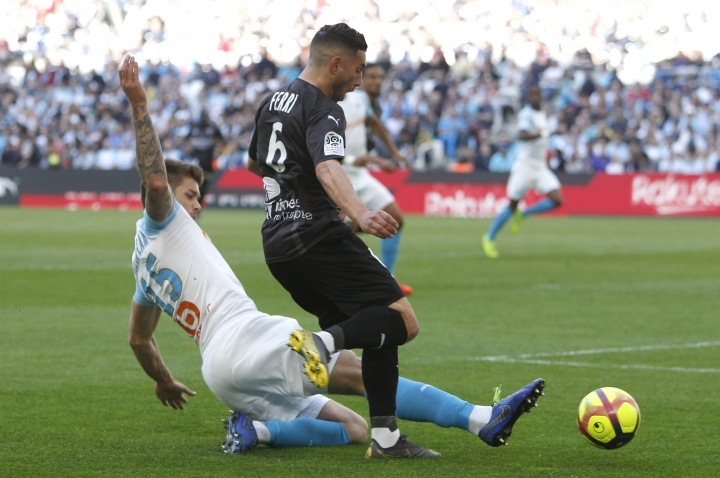 Hosts Marseille took a blow early on when Balotelli, who has scored seven league goals in 11 games since joining from Nice, suffered a thigh injury and was forced to leave the pitch in the 32nd. 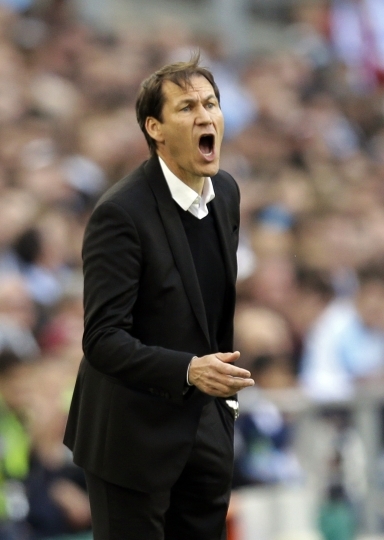 "He stopped playing because he was not at 100%," Marseille coach Rudi Garcia said. "He wanted to continue, but it did not make sense to play with a weakened player." 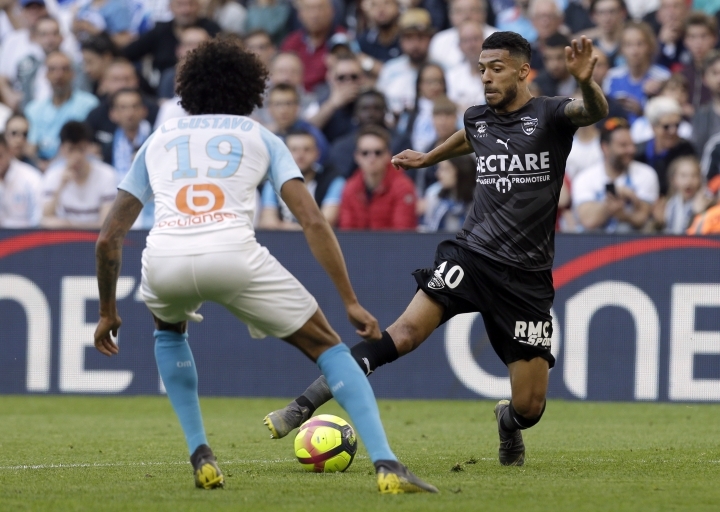 Marseille pressed hard after the interval and found the net twice but both goals were ruled out by VAR for offside before Germain finally ended the deadlock. With a 20-point lead at the top, runaway leader Paris Saint-Germain has another chance to seal a sixth title in seven years when it travels to second-placed Lille on Sunday night. Captain Jeremy Sorbon scored late to salvage an important point for Guingamp in the fight against relegation, securing a 3-3 draw at Strasbourg. Guingamp twice relinquished its lead in Alsace and then trailed 3-2 until the 87th minute when Sorbon headed home the equalizer from the rebound after Marcus Thuram hit the crossbar. The Brittany side vacated last place to Caen, which lost 1-0 at home against Angers. 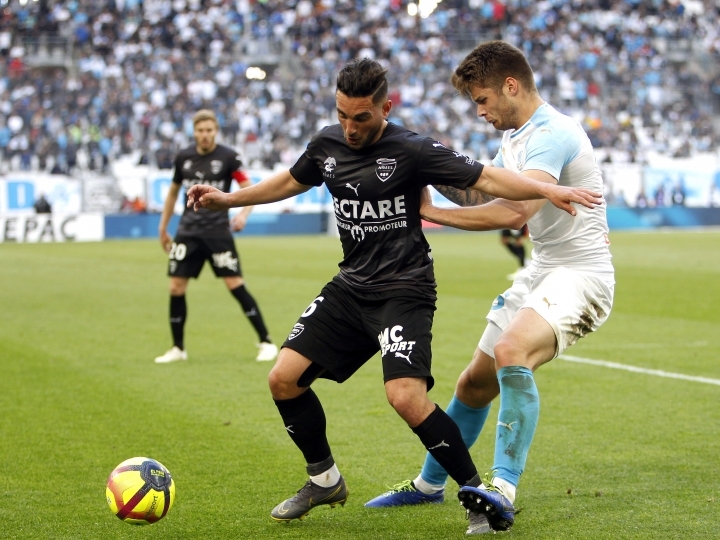 Monaco's unimpressive season continued with a 0-0 draw against Reims, a result that left the Principality side seven points away from 18th place. A playoff between the club which finishes 18th and the team ending third in the second division is held at the end of the season.